Y ou may have seen my previous review for the Aqua Ionizer Deluxe 7.0, well, this is the 7’s big brother, the Deluxe 9.0 or model AWL-9000. In my review, I discuss the upgrades from the 7.0 and help guide your purchase for your first or perhaps second alkaline water machine. Please feel free to use the table of contents or other tools in my Air Water Life Aqua Ionizer Deluxe 9.0 review to make your life easier. When buying an alkaline water ionizer, it’s important to consider the installation instructions, whether the unit is under the sink or countertop, the warranty, type of filtration, and other key factors we will go over shortly. Secondly, the most critical factor is the health benefits current users are experiencing. 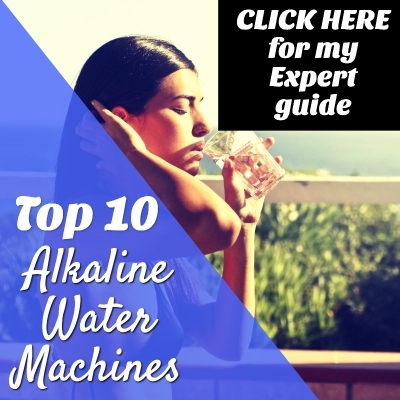 If you’re new to alkaline water, check out my list of alkaline water benefits to get an idea of all the life-changing benefits that current alkaline water machine users are experiencing all over the world. Now, before I get ahead of myself, let’s jump into the review. By the end, you will know if the 9.0 unit is right for you, and if it’s worth the extra money compared to the 7.0. 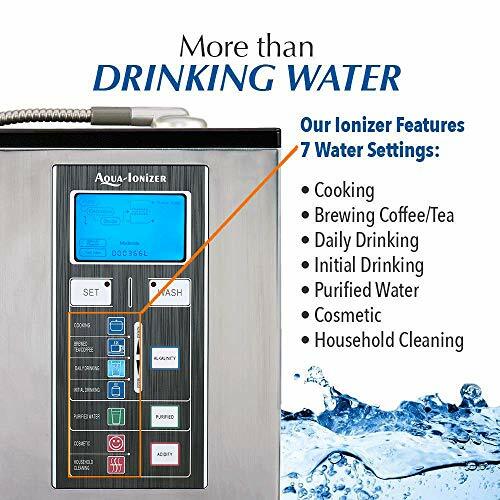 What are owners of the Aqua Ionizer Deluxe 9.0 saying? First, let’s jump into the list of key features you will get with the 9.0 unit. The first difference I notice when I look at the 9.0 unit is that it’s more attractive than the 7.0 unit. Although, it’s what’s inside that matters the most. The first upgrade is the warranty. The 7.0 unit comes with a 5-year warranty, and the 9.0 gives you the lifetime warranty that we all want when buying an ionizer. The warranty upgrade alone may make the 9.0 a better purchase than the 7.0 model. The Aqua 9.0’s LCD display is very similar to the 7.0, but like I said earlier, it’s nicer to look at. It will most likely match more modern kitchens and kitchens that have darker colors. The 9.0 stays true to its name and uses 9 platinum coated titanium plates, which is two more than the 7.0 model. The 9 plates add up to a gigantic 146.57 square inches of surface area. The plates are also arranged in more than one layer to make your power bill lighter each month. Like the 7.0, the 9.0 uses a single activated carbon filter. The 9.0’s filter can filter 4,000 liters or over 1,050 gallons before needing to be replaced! The Aqua Ionizer Deluxe 9.0 produces a wide pH range of 3.0 to 11.5. The ORP Range is +1000.00 to -860.00mV. The machine’s universal faucet adaptor fits almost all “pull out” and “sprayer” style sink fixtures, which means it can be installed virtually anywhere in the home, including the bathroom. The 9.0 can be installed both on the countertop or under the sink. If you choose to install under the sink, you may want to purchase the special kit designed just for the 9.0 unit. However, unlike the 7.0, it’s a better idea to install the 9.0 on your counter. The flow rate of theAqua Ionizer Deluxe 9.0 is 3 liters per minute or about 1 minute and 20 seconds for 1 gallon. The speed is adjustable. Plastic parts of the unit are both BPA-free and FDA-Approved. The manufacturer makes sure that no chemicals are getting in you or your family’s water. The 9.0 features a 3-stage cleaning cycle. In between pours, the unit switches polarity to extend the life of the plates and make sure that everything is nice and tidy without you having to open it up and perform surgery. Each time you turn the 9.0 off, it cleans itself. The machine weighs about 13 pounds, and the maximum temperature for the water that it can filter is 140F. The water is RoHS certified to be 100% lead-free. The panel has 7 different water settings: 4 alkaline levels, 2 acid water levels, and 1 for purified drinking water. Installation of the 9.0 unit is similar to the 7.0 unit and should only take about 10 minutes. Once the unit is hooked up, there is no need to spend hours or days flushing the filter. That’s it. You and your family can start feeling the health benefits of drinking alkaline water just minutes after the installation. Most people choose to install the 9.0 on the countertop instead of buying the kit to install it under the sink. One of the disadvantages of all alkaline water machines is that we need to see the display. If the unit is under the sink, we can’t see exactly what we’re getting. Out of all the alkaline water machines I’ve reviewed, the Aqua 9.0 may have the most impressive filter life. The lifespan of a single filter is a crazy 4,000 liters per filter. That’s over 1,050 gallons per filter! Each filter should last you over a year unless of course, you are a fish. The amazing part is the 9.0 uses the same filter as the 7.0 model. The coolest part is the 9.0 tracks the filter life for you, so there’s no need to remember when you installed the filter or keep track of how much water has gone through it. Before investing in an alkaline water machine, it’s important to hear what people who already own it are saying. I think it’s better to purchase a unit with a lifetime warranty because even if something better does come out say ten years from now, I’d still like to have my original unit for life. People are really liking the filter life indicator. Since the filter lasts for over 1,000 gallons, it’s impossible to keep track of how much water it’s filtered before it needs to be replaced. One person reported that the pH has been accurate each time he’s tested the water that comes out of the machine. The acidic and alkaline water comes out of different tubes to make sure the alkaline and acidic water don’t mix. International users must keep in mind that the unit is 110v only. This isn’t a problem for everyone living in the U.S.
Users who installed the unit under the sink reported that they keep the same settings 90% of the time, so they don’t have any problem with not being able to see the display. 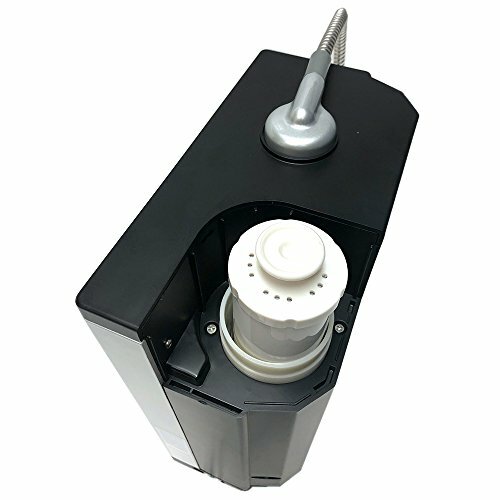 The machine is designed in America and assembled in China in an ISO-9001 certified facility to guarantee a high-quality product is delivered to your door. Other alkaline water machine companies don’t go the extra mile to achieve the ISO certification, and they charge $1,000s more for their products. The 9.0 comes with a filter. 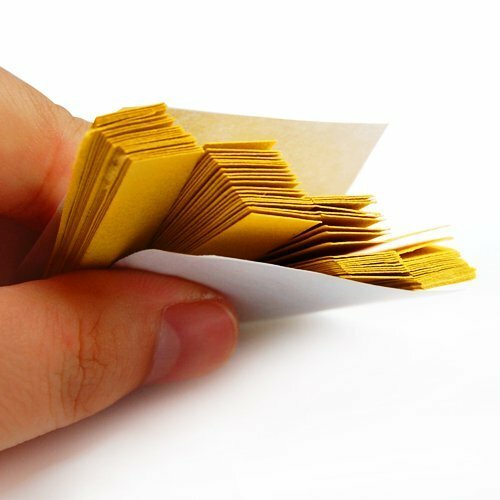 You won’t need to buy a replacement for at least a year. Customer service is very responsive, and there’s a free number you can call if you run into any problems or have any questions about how to use or install the machine. Now, the part you’ve been waiting for. What health benefits are people experiencing? An entire family is dodging the annual flu and cold bugs that affect thousands, if not millions, of American families every year. A woman reported that her husband suffers from diabetes, and he healed a cut on his toe using the acidic water from the machine in one month. Before he started soaking his toe, doctors wanted to amputate! Imagine if his wife had never purchased the machine. One user began drinking two liters a day and said his energy and concentration levels “tripled.” He’s 43 and feels 10 years younger. One person with Chron’s disease reported benefits, and he is glad that he bought the 9.0 unit instead of the much more expensive Kangen machine that costs over $5,000. He also said that he was able to clear his adult acne just by drinking the water. All members of a family reported feeling better since starting to drink alkaline water. One man reported improvements in his blood tests results, and he credited the Aqua Deluxe 9.0 for the improvements. A passionate dog owner reported healing her beloved dog’s chronic skin rash. Her other dog has a tumor on his face that is “practically gone” after ten months of drinking alkaline water. If you were on the fence between buying the Aqua 7.0 or 9.0, you should now be able to decide which unit is best for you after reading my review. The 9.0 does cost more, but it will last you a lifetime. Also, the amazing filter life is another critical factor to think about. Over the life of the unit, the savings in replacement filters alone could make up for the added cost of buying the 9.0 unit. The two additional plates make a better quality alkaline water. You may also prefer the 9.0’s more attractive design if your kitchen features darker colors, or you plan to install the unit on your counter. Either way, you can’t go wrong with the warranties of the 7.0 or 9.0 and the awesome customer service that comes with both units.